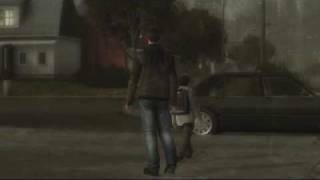 Sony Computer Entertainment Europe has announced the millionth sale of Heavy Rain for PlayStation 3 worldwide - just five weeks after its launch at the end of February. The game has become an overnight sensation for its combination of gripping plot, thought-provoking themes and emotional involvement. The critics are raving about the new possibilities in emotive, open-ended play and cinematic gaming that Heavy Rain delivers. Now, just five weeks in, the sales figures show that more than a million gamers agree with them. Years in the making, developer David Cage’s hugely innovative and ambitious project has paid off. "It has been hugely gratifying to see the positive response that Heavy Rain has received from gamers” says David Cage, the Writer and Director of Heavy Rain and CEO of Quantic Dream. “It shows that it is possible to create games that break with convention, games that seek to tell complex stories, and games that can inspire unexpected emotions in players - and that such games can be commercial as well as critical successes. I hope that this success will continue to help pave the way for new, groundbreaking experiences." Set in a grimy, rain-soaked and fear-ridden town on the east coast of the USA where young sons are going missing, Heavy Rain is a dark and utterly absorbing thriller where you set the rules and where the buck stops with you. With a killer on the loose and time running out, you must decide how far you’ll go to track him down. You get to play as a combination of four characters, each with their own demons to battle and their own roles to play in cracking the case. The magic is in the flexibility of the story – you don’t just play it; you shape it. The decisions you make at key points can send the plot spinning off in entirely unexpected directions and change the story completely. Your path through the dark and unsettling world of Heavy Rain changes according to how you handle things – and you’ll never play the same game twice. Developed by the renowned Quantic Dream exclusively for PS3, the million-selling Heavy Rain is in stores now. There are currently 0 members and 145 guests on the website right now.